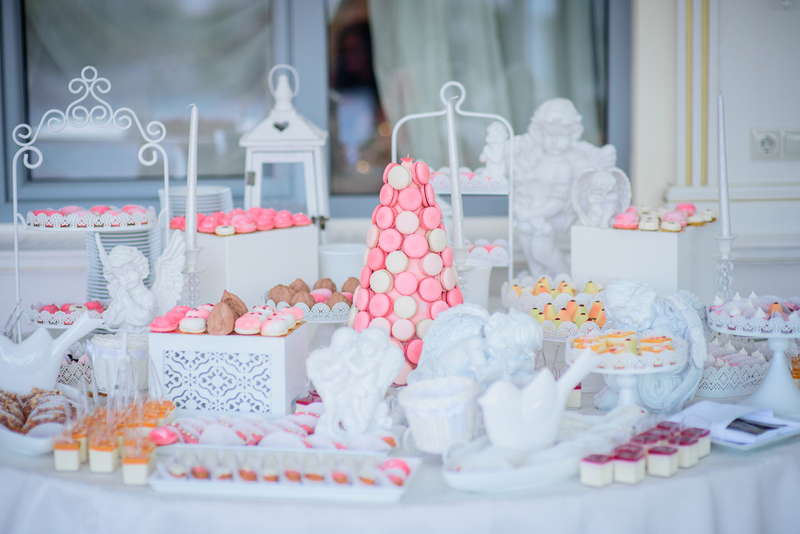 One of the most eye-catching and creative elements you can include at a child’s birthday party is a candy buffet. Kids love candy, and the sight of multitudes of colorful candies and other sweet confections will absolutely enthrall them! There isn’t a right or wrong way to design a candy buffet. Parents sometimes create a buffet around the party’s theme, or they just make the buffet as colorful as possible. 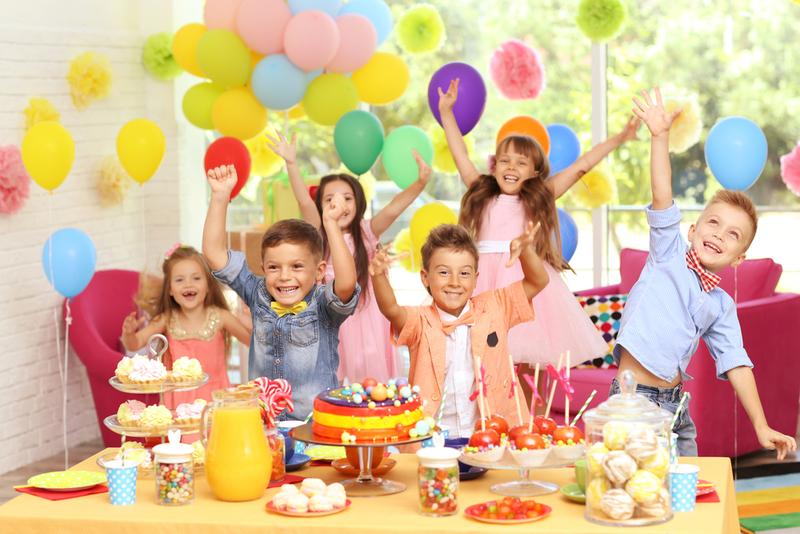 When hosting a candy buffet, though, parents need to decide if the candy buffet will be part of the day’s events or if the buffet will be meant as an end-of-bash going-home treat. 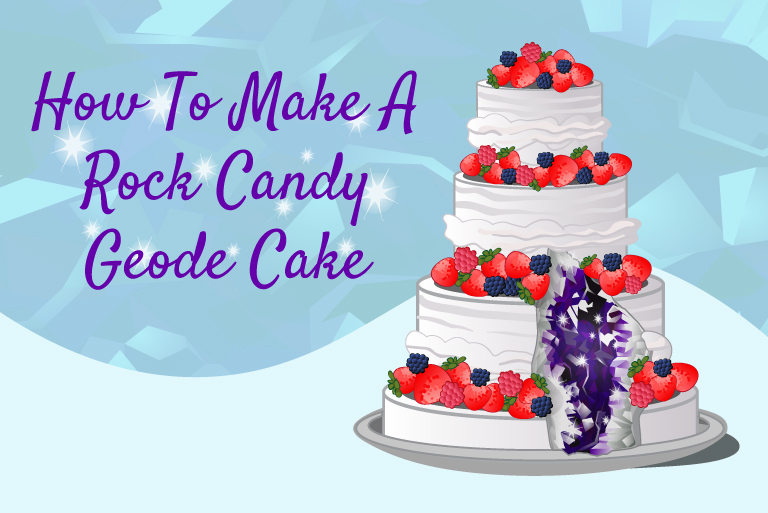 If you offer up loads up candy during the party (on top of cake! ), be prepared for the sugar rush that will follow! 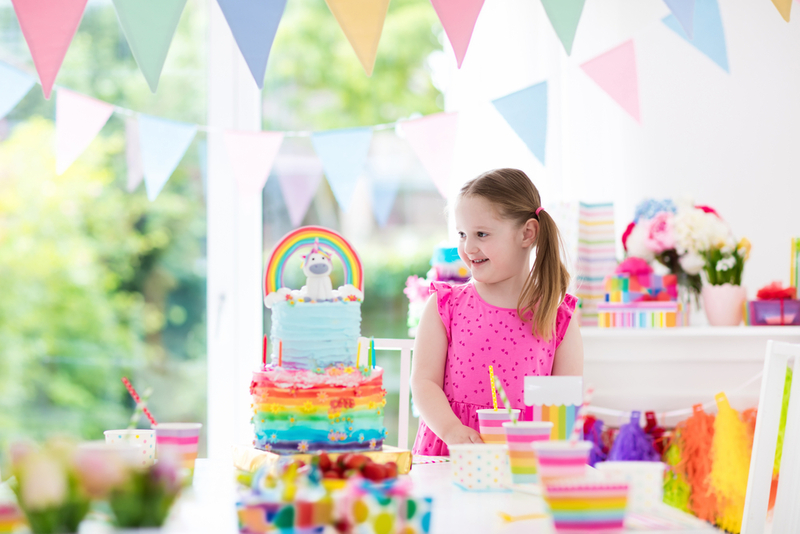 Get inspired by the magical sparkly unicorn trend and design your candy buffet with unicorn rainbows. A unicorn candy buffet should be sparkly, rainbow-hued, and a little bit over the top. Choose iridescent table cloths to cover your buffet table for a magical glow. Candies may be presented in bowls corresponding with a color of the rainbow. Or use simple glass jars or bowls decorated with rainbow ribbons. Fill each container with rainbow candies. Choose Skittles, M&M’s or a variety of gummies. You’ll also want to include unicorn horn lollipops! Feeling inspired by this kid’s birthday buffet idea? Whip up some unicorn popcorn balls for an extra magical centerpiece (and treat) on your buffet! 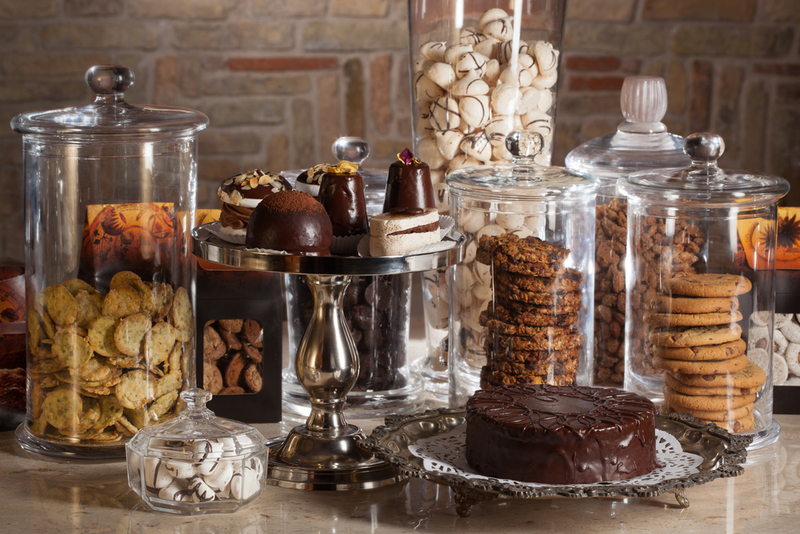 For the child who is crazy for chocolate, choose a choco-centric buffet! Include jars or bowls filled with malt balls, M&Ms, Hershey’s Kisses, mini chocolate bars, chocolate licorice and more! Kids will be in chocolate bliss! Roald Dahl created the ultimate candy icon in Willy Wonka, and this candy buffet idea uses “Charlie & the Chocolate Factory” as the theme. behind your candy buffet! Decorate the table with a gold table cloth (the golden ticket! ), and include a variety of Wonka’s most iconic candies—Gobstoppers, Runts, Oompas and Laffy Taffy. You also should offer up DIY Wonka Bars, because…of course! Take kids around the world with a passport filled with candy! Use a globe for the centerpiece of this candy buffet idea and cover your table with a variety of maps. 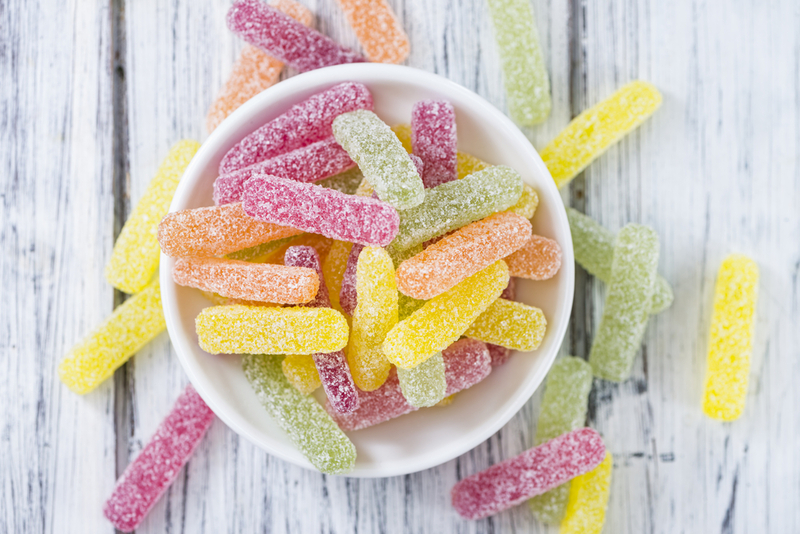 The buffet should offer a variety of candies from around the world…be exotic with candy choices or select classic favorites (like Haribo Gummy Bears). Label each candy with their country of origin and the country’s flag! Kids will be excited to try new and unusual candies from other countries. Planning a summer party? 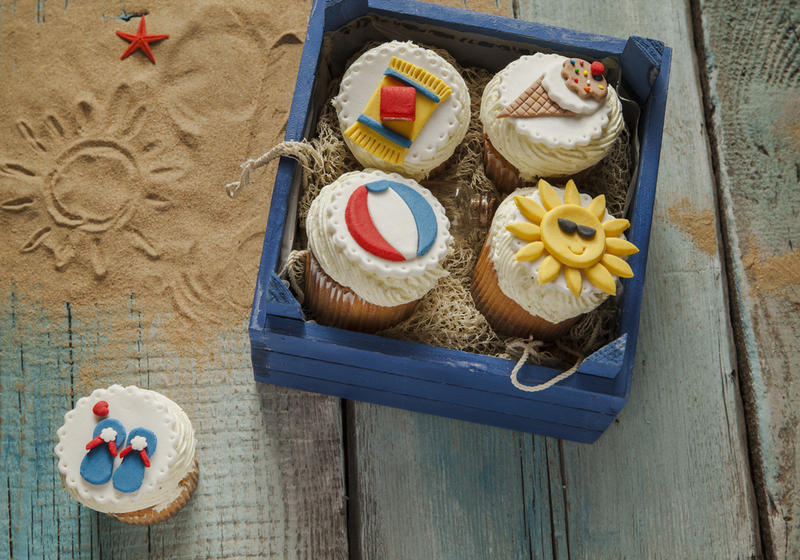 Create a beach-themed buffet! Use plastic beach pails to hold candies and shovels for serving. Cover your table with a blue tablecloth to mimic the ocean and be sure to include a variety of sea creatures like turtles, fish and octopus. Design a cute island and set up a little chest filled with pirate treasure (chocolate gold coins!). You can also buy small foil palm tree centerpieces to decorate your island! These candy buffet ideas make a great addition to a child’s birthday party. 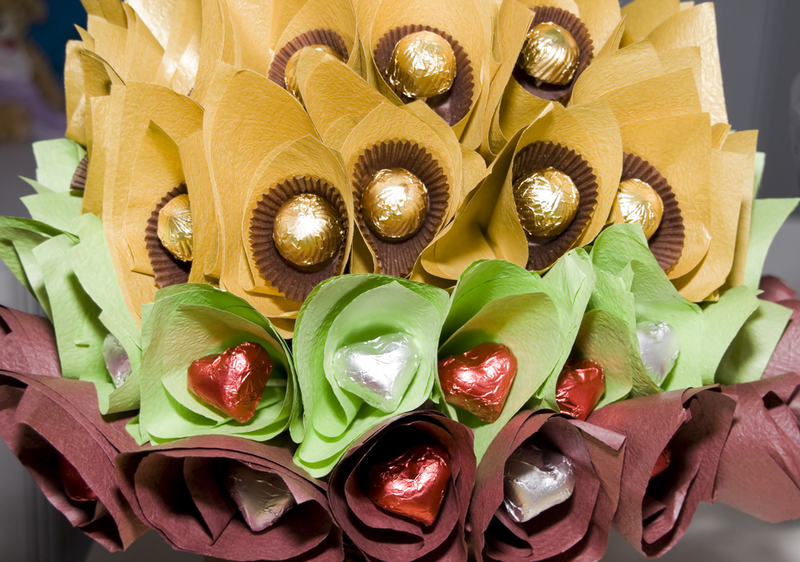 You can design your own unique theme and feature a variety of different candies to delight your guests. The only hard part? Deciding when to serve all that sugar! We recommend sending it home with the kids…so the sugar rush isn’t on you!